Have you ever seen a money-printing machine? I have! And I am fascinated with the idea of making my own. I used to work for a technical service company that performed certified product testing for hire. We were small and ambitious and would take on crazy projects all the time, but I understood that the bread and butter work was done by the money printing machines. They took the form of automated laboratory equipment that ran high-cycle fatigue loading tests at low frequencies on medical devices to help customers meet FDA regulations. These machines were ugly, but they were also reliable and very cheap to operate. Jobs done on those machines were billed by the hour and they ran constantly. 5Hz to 5 million cycles works out to 11.5 days per specimen with limited human intervention…you do the math. Seeing these machines made two things clear to me: As long as they were running then times were good for the business, and that I wanted my own! The ‘money machine’ idea in a nutshell is just a business designed to maximize impact while keeping overhead as close to zero as possible. The book is not about designing a big business, but rather about designing a small profitable business with minimum stress. No office space, no employees, no unnecessary equipment. A ‘money printing machine’ is my way of describing a physical machine or process designed to automatically produce value in the absence of YOU! Imagine theoretically printing $20 bills on a traditional office printer. It may be difficult to learn the details and get it setup at first and you’ll have to remember to feed it paper and ink every so often. But once you get it started, it will happily purr along creating benefits for you for years to come. ‘Passive’ income, that’s the idea. Investing in mutual funds is a classic example for making passive income. Owning a small piece of a low cost broad-based index fund is an effective way of using money + time to generate more money at a reliable (albeit slow) pace. It’s easy to operate & maintain this money machine and it’s a great place to park large sums of money, but it’s not very efficient. The investments required to predictably produce a long run average 10% return/year are risky in the short term and not cheap to jump into. $3,000 is the buy-in for most Vanguard mutual funds. But perhaps those resources could be put to work more effectively in a different type of money printing machine? If you ask me, a robust 3D printer in capable hands can be the backbone of a money printing machine process. When used properly it can effectively supplement other types of businesses and manufacturing processes, or earn a bit of weekend beer money. So what makes these machines special? 3D printers have a high benefit-cost ratio. They are a low maintenance tool that automatically converts an easily available and relatively cheap consumable into a significantly higher value output. That they are automated is the key though. A widget (once designed with a toolpath stored on an SD card) can be cloned ad infinitum with a minimum of cost and effort. A premium reliable consumer grade printer setup is a steal at < $3,000 when compared to the cost of similar alternative machine tools such as an entry level laser cutter or CNC mill at $10,000. Each monetization strategy has its own strengths and weaknesses. Some are more scalable than others. Some are a great source for active income while others are a better for generating passive income. Let’s take a look at examples of each category. One of the first ways that comes to mind is to offer a 3D printing for hire service. Of the possible ways this could be done, offering a service through 3DHubs.com is the most popular. 3D Hubs is an easy to use middleman website that connects buyers to local service providers. You can go to their site with an STL file and get an automated price quote in moments. There are 26 local service providers within 25 miles of my house. 3D hubs allows you to set your own prices, but they add a 12.5% commission fee on top of whatever you charge. Out of curiosity I got a price quote for a single ‘3D benchy’ file made in general use plastics (ABS or PLA) with results between $6.50 and $46, (mostly around $12 though). Most jobs can be completed with only 1-3 man-hours of effort, while some jobs take a few more man-hours (up to 10). Most of your local competition on 3D Hubs haven’t completed very many jobs. There are probably a few power users competing for most of the work in a given area. Of the work that is feasible, most of it is Mechanical Parts/Functional Machine Parts followed by Art/Cosplay/Figurines/Models work, followed by engineering design requests. Most people just need basic general use plastics, but being able to offer exotic materials can be beneficial. 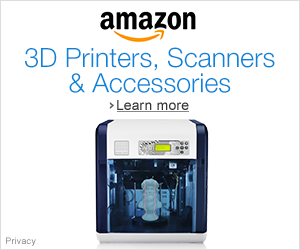 The most useful accessory to your printer is your 3D printing expertise and your ability to use 3D modeling software. By a large margin the primary thing holding people back from growing their business is a lack of customers. There are simply too many printing services chasing too few customers. Viability of 3D Printing Services as a Money Machine: Good for active income, Terrible for passive income, Difficult to Scale, Sounds like a headache to me. There is abundant competition in the consumer-grade market, so you better have connections & a unique competitive edge if you want to get any jobs. But even if you’re good, there will always be an impenetrable ceiling to work under. Even with a great skillset you can’t compete in the professional grade market without a full time engineering team and tens of thousands of dollars of equipment! Since your customers are people without their own printers there will likely be some hand holding to get them through the process. You have to describe the process, properties of typical materials, why their design is bad/can’t be done/could be made better/etc, and generate quotes that may not even be carried out. This excessive yet necessary prep-time is all work that people expect to receive but not pay for. While 3D hubs is good for ensuring that you actually get paid for the work that you do, you can only ever work toward earning todays bread, never tomorrow’s! Other services that can be offered aside from 3D printing for hire are 3d scanning, 3d modelling, and part finishing. Each requires its own set of tools and skillset but I think the above bolded statement applies equally as well to all of them. 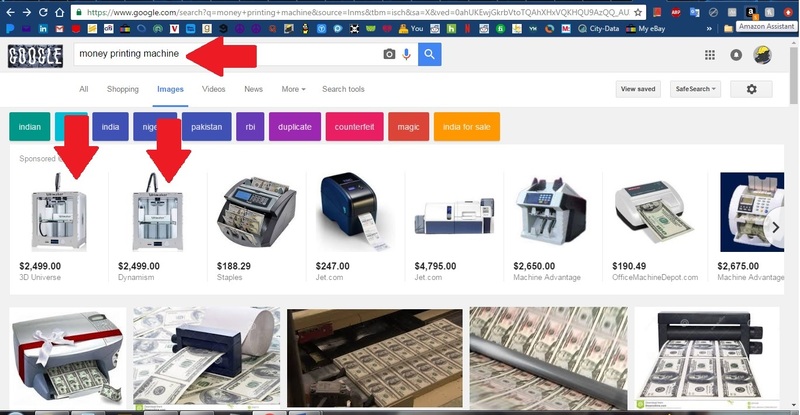 The second category of ways to make a buck with your printer involves selling your own standard line of physical goods. This includes 3D printed products as well as ‘vitamins’ (non-printed hardware accessory kits intended to supplement 3d printed parts). In this case I can pull from my own experiences with the EngineerDog Store as well as things I’ve read about and people I’ve talked to. I’ve seen this done with great success and I’ve come up with a theory/formula for how to do it well. Standardized-specialized-physical-goods are the way to go! -‘Standardized’ meaning that you are printing and selling the same set(s) of designs over and over. Time spent on 3d modelling/writing descriptions/support documents/ photos/ posting online/etc is limited to the first set, but once proven you can amortize that upfront cost into all future sales. -‘Specialized’ meaning that these goods are something that cannot be had anywhere else. Whether it’s because only you have access to the files or only you have the time/skill/expertise to be able to bring them to a specific market. **Double bonus points if your product is only sold in one material and color. Then you don’t have to stock a variety of filaments! ***Triple bonus if your support documentation doubles as marketing material! A couple examples of different routes you can take with this. A mechanical example is hard to find replacement parts for collectors items that are no longer supported by the manufacturer. I’ve seen this done for old guns, old cars, and old metalworking machinery. An artistic example is card gaming deck boxes made to match specific card games (i.e. magic.) that can then be marketed to anyone that plays that game. In either case the folks selling these goods found a niche and focused on dominating it. Sometimes they had their own website, sometimes they had word of mouth connections, and sometimes they used eBay or Etsy to sell their wares. Viability of 3D Printing Goods as a Money Machine: Ok for active income, Great for passive-ish income, Very scalable, Lucrative if you’re clever and lucky. Again, the key here is the standardized-specialized part of your offer. Being special minimizes competition and gets you a captive audience. Being standardized makes every bit of work you do scalable. The challenges here are twofold. First that the product actually has to be innovative and either useful or pretty. No one buying your toy or artwork cares how it is manufactured. They care about how owning it makes them feel and how well it does what it’s supposed to. Second is that you have to have the skill to do your own 3D modelling to create, perfect, and own the rights to the designs of these goods.. If you can do those things well then you earn a passive-ish income every time you sell a widget beyond the first one. The cost to sell each successive widget is limited to materials, the time to click “print”, and the time it takes to drop a package off in the mailbox. When trying to sell a 3d model, there are many options out there for hosting sites to offer your 3D model through. My favorite by a long shot is Pinshape.com, due to their easy to use interface and excellent customer service. Through them I’ve passively earned ~$300 on the sale of my Bicycle BoosterPack printable files. Not a ton but I’ll take it! Double bonus points because intangibles don’t have shipping costs! Information based income is not just limited to selling digital objects though. Affiliate marketing (being paid for a reference that results in a sale) is commonly used by bloggers, but is not used often enough by people who make things if you ask me. The latter case I would call ‘affiliate making’, and through that method I’ve created a consistent passive income on the order of $200/month between affiliate + advertising. All I do is review my hobby projects bill of materials to find parts that are available on sites I have affiliate relationships with, and then I provide a special link to those parts before sharing my project online. As an example, if you want to support this blog you can buy your 3d printing material though this link here. As a veteran printer, eSUN is my low cost brand of choice and their PLA+ product is my default printing material. It has the stiffness, print-ability, and environmentally friendly aspects of PLA but the additives prevent excessive brittleness. Most things I make are from this material. So digital goods & affiliate work are admittedly mostly suited in scale for beer money if you work at it casually, but selling information can be big business for the determined. Being a recognized professional 3D printing thought leader gives you more options. I’ve met Barnacules Nerdgasm and the 3D Printing Nerd in person before, but actually the first person who came to mind here was Tom Sanlader of Toms3d.com. 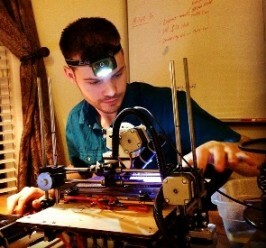 Tom knows 3d printing and he writes a blog worth reading and makes excellent videos on the topic. For this, he gets active monthly support from his Patreon followers to the tune of $1600/month. (As I understand it, this is not his full time job. As of this writing). And if he were to write a book, it would be worth his time guaranteed. But to accomplish what those folks do, they have taken the hobby to whole other level. I’ve been paid to write articles before, but my videos…well, Barnacles I am not. I use Youtube mostly to make product support videos and for experimental purposes, and it took me a couple years of youtube ads to get to the $100 cash out point. The experience has mostly made me appreciate how much effort it takes to make good videos. Viability of 3D Printing Information as a Money Machine: Usually bad for active income (though it’s possible for a thought leader), Excellent for a bit of passive income in all cases, Can be Scalable and lucrative if you think big. Overall, selling information via digital goods & affiliate making can be worth the time for a skilled weekend diyer. If you’re going to be creating something anyway, then why not try to recoup some of your project costs? It’s easy to do and costs you nothing. Just don’t expect rapid or huge returns. Another thing to consider is that the links and 3d models you post will stay active 24/7 until the end of time, but there is a relevancy half-life that limits how long you’ll benefit from them. You should realistically expect the sale of information as a secondary means of income to supplement your primary gig. That’s all for now, hopefully some of you will benefit from my experiences shared here. What are your thoughts on money printing machines and do they differ from mine? Do 3D printers play a key role in filling your piggy bank? Next time I’ll share my thoughts on pricing your product as it applies to each of these categories. Previous What’s New with EngineerDog? Can a 3D printer be a money machine. Read and find out. Good tips here. Definetely something worth checking. With these small and cheap 3d printers, laser cutters, cnc, and new ones that are appearing like MPCNC, the cost of manufacturing at home will come down. So if money or problem solving are needed, it boils down to creativity. That is a win win because the amount of people creating will increase.